Announcing our Know Your Place family activities! Looking for something to do with the kids in May half-term? Why not come along to one of our FREE* family events happening across the region? To celebrate the launch of our new learning pack, we’re bringing family fun sessions to a place near you! We’ll be in Bath and North East Somerset, Gloucestershire and South Gloucestershire with our family activities and heritage walks throughout May half term. 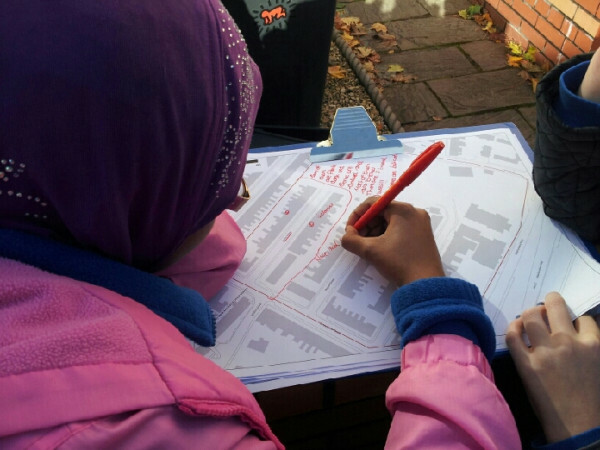 Help build your local area on a map, design a postcard, colour and make, look at historic photographs of your area, explore your local history on Know Your Place, and more! Come along on a family heritage walk, look out for landmarks with a spotter trail and have fun on the way, looking at our route through historic maps and mapping what you find onto Know Your Place afterwards! Parents, bring along your mobiles and tablets to explore your local heritage with Know Your Place as we go! Please note: Family heritage walk is suitable for ages 5 and above. All children must be accompanied by a responsible adult at all times. Museum admission fees may apply. Please wear appropriate outdoor clothing. See below for further details of the events and how to book your place! Book your place for the day here. Please note that standard admission fees to the museum apply BUT your ticket includes the heritage walk and activities on the day, PLUS a FREE hot or cold drink in the museum café and you can return FREE to the museum ALL YEAR on the same annual ticket. ANNUAL TICKETS: Adult £6 Concession £5 Child £2.50 Family (2 adults and up to 3 children) £13. Book your place on the family heritage walk here. Please note that standard admission fees to the museum apply. Entrance fee £3.00. Under 12s visit free, when accompanied by a parent or carer. Joy of Maps Day! 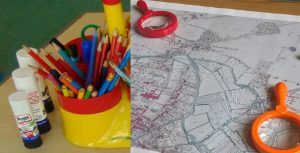 A whole program of activities and events at Chippenham Museum from 10am to 4pm. *General museum admission fees apply. For more information please contact kypwestofengland@southglos.gov.uk or phone Alice, Assistant Project Officer on 01454 863779.